Film industry businesses need an accounting firm that's familiar with the entertainment industry and its unique reporting requirements. At Sancus Tax and Accounting, we understand the financial challenges you face because we’ve worked with other filmmakers, movie production companies, and creative professionals just like you. We offer specialized industry accounting services like royalty tracking and licensing audits along with budgeting and cost reporting to help you monitor expenses during production. When you become our client, we’ll make sure you never overpay your taxes. We'll save you money by managing your tax obligations and making sure you take advantage of all available tax deductions. 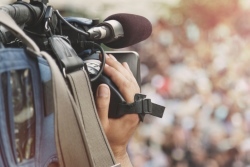 Our experience working with the film industry keeps us up to date on state tax credits and other incentives that can maximize the support you receive from investors and contribute towards higher profits. Let us worry about the numbers while you focus on production. Call us at 323-498-1040 or 562-485-9030 now to learn more or request a free initial consultation online now.